“Zvjezdice” Girls’ Choir is one of the most representative music ensembles in Zagreb and Croatia. It was founded in 1985 and forms part of the Youth Music Institut in Zagreb. The members of the choir are all outstanding students of primary and secondary schools in Zagreb. In more than three decades of its existence, the choir has developed a strong cooperation with the most prominent Croatian and world’s ensembles and performers, as well as with many conductors – from both Croatia and abroad. The choir has performed alongside the Brussel’s Philharmonic orchestra, Zagreb Soloists, the Zagreb Philharmonic Orchestra, Two Cellos, the Symphony Orchestra of the the Croatian Radiotelevision (HRT), Croatian Chamber Orchestra, the Opera Orchestra of the Croatian National Theatre (HNK), the Zagreb Wind Trio, the Croatian Army Symphony Wind Orchestra, the Tamburica Orchestra of the Croatian Radiotelevision etc. Furthermore, the choir has performed under the direction of many renowned conductors such as V.Gergiev, Sir N.Mariner, H.Graf, L.Hager, P. Dešpalj, K. Ono, M. Horvat, N. Bareza, , R.F. de Burgos, A. Rahbari, F. Shipway, S.Dinić, I.Repušić, V.Šutej, V. Kranjčević, U.Lajovic, S.Dinić, I.Repušić, V.Šutej etc. 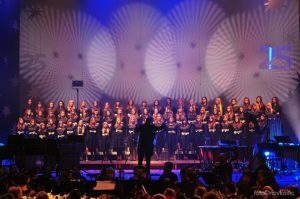 Choir’s wide range of activities inside Croatia also includes a cappella performances at the International Children’s Festival in Šibenik (1990), Dubrovnik Summer Festival (2000), Music Biennale Zagreb (2011), Milko Kelemen Days -Slatina (2014). The “Zvjezdice” choir filled the audience with enthusiasm in Norway, France, Italy, Switzerland, Germany, Austria, Russia, Slovenia, Bosnia and Herzegovina, etc. In a series of its notable international appearances, two United States tours deserve special mention. First came the highly successful tour in 2003 (New York, Pittsburgh, Dayton, Northern Kentucky), when the choir received a major acknowledgement – with December 12 being declared the “Zvjezdice” Day in New York and December 19 the “Zvjezdice” Day in Dayton. The other equally successful tour took place respectively in Cincinnati, Pittsburgh, Cleveland, Los Angeles, Chicago and New York in 2004, and included the concert in the Church of the Holy Family at the United Nations Chapel in New York under the high patronage of Archbishop Celestino Migliore, the Permanent Observer of the Holy See at the UN. In 2006, the tour to Australia and Malaysia (Melbourne, Canberra, Sydney, Kuala Lumpur) followed, and the tour to Canada took place in 2008. Many works by the leading Croatian composers have been dedicated to the “Zvjezdice” choir, most notably The Four Seasons by Davorin Kempf, Orion, Venus, Andromeda by Milko Kelemen and Djevojačke vede (Maiden Vedas) by Ivo Josipović. The “Zvjezdice” choir has received many national and international awards and some of the most notable are: two awards for best performance at the International Choir Festival in Llangollen, North Wales (the International Musical Eisteddfod), the outstanding performance awards at the Sligo Choir Festival, Ireland and Stavanger, Norway, the award for the best performance of a contemporary composition at the International Youth Choir Festival Celje. In 1991, at the Varaždin Baroque Nights, the choir received the Ivan Lukacic Award for outstanding performance of the G.B. Pergolesi’s Stabat Mater. Zvjezdice won the Milka Trnina Award for their 25th Anniversary Concert in Zagreb. The choir has been appointed the cultural ambassador of the Republic of Croatia by the European Federation of Choirs of the Union. The choir has an impressive discography list, consisting of several hundreds of recordings, a series of independent releases such as the CD Ave Mundi Gloria, a double CD titled the Zvjezdice jubilee (released for the choir’s 15th anniversary), DVDs released respectively on the occasion of the 20th and 25th anniversary, CD: the Zvjezdice 20 years with Croatian composers, and Christmas editions produced in cooperation with the Zagreb Soloists, the Zagreb Wind Trio, the Zagreb Philharmonic Orchestra and the Croatian Army Orchestra. The CD titled “The Greatest Christmas Hits” created in cooperation with the Zagreb Soloists is the award winner of the Croatian discography awards Porin for the year 2010. Zvjezdice’s latest CD “Brahms, Britten”, was released in 2015, marking the choir’s 30th Anniversary. 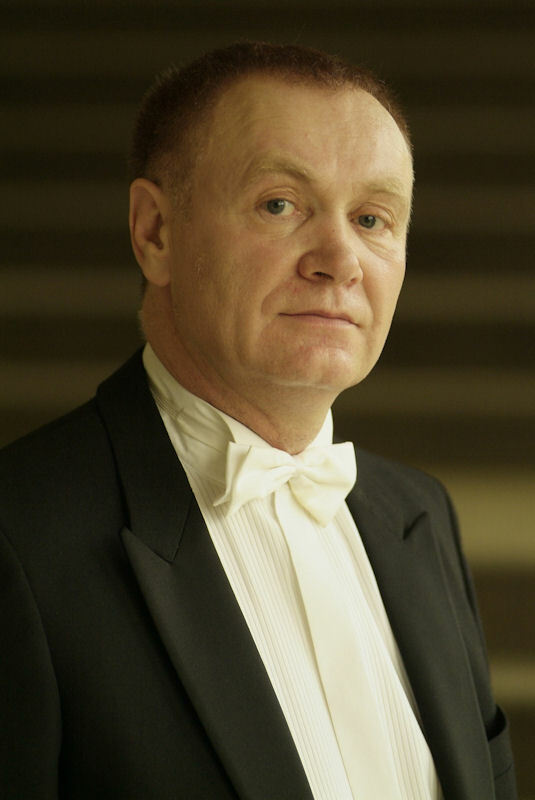 Since the very beginning to date, the choir’s artistic leader has been maestro Zdravko Šljivac to whom it owes its success and acclaim. A versatile musician, composer, producer, conductor, music teacher, editor and associate of the Croatian Television. He is a multiple winner of “Porin”, the Croatian discography award, in several categories (the best production of classical music, the best production of Croatian traditional music, the best production of children’s music, etc. ), the Varaždin Baroque Evenings award and the Croatian Composers’ Society award. Zdravko Šljivac has composed music for a number of television films and series and theatre plays. He is the artistic director and the originator of numerous music projects and festivals. He was an associate and the conductor of the World Children’s Choir in Paris and has nurtured young talents through his outstanding work in music education. He acts as a member of many music juries, the president of the Croatian Association of Conductors and Choirs. Šljivac has collaborated with the Zagreb Soloists, the Symphony Orchestra of the Croatian Radiotelevision (HRT), the Zagreb Philharmonic Orchestra, the Opera Orchestra of the Croatian National Theatre (HNK), the Croatian Chamber Orchestra, the Croatian Army Symphony Orchestra, the Tamburica Orchestra of the Croatian Radiotelevision (HRT), etc. He is a regular member of the Croatian Composers’ Society and has been appointed the cultural ambassador of the Republic of Croatia by the European Federation of Choirs of the Union.